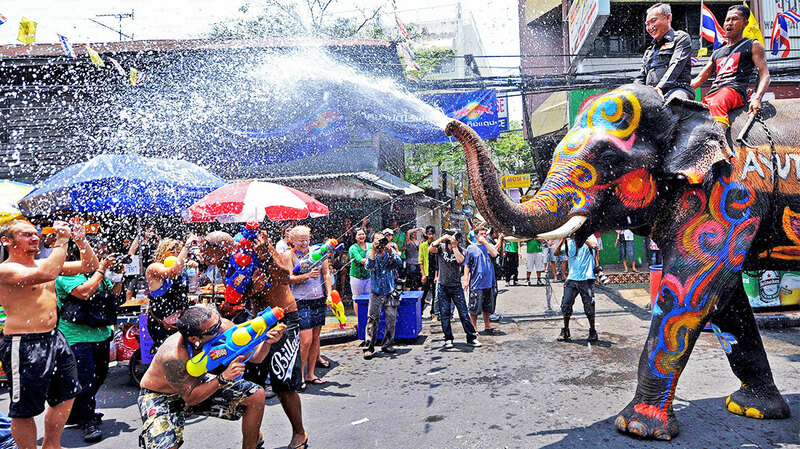 Check out the Songkran Festival in Thailand. The festival is held April 13th each year (although, often the party keeps going through April 15th) in celebration of the Thai New Year. It has become the World’s Biggest Water Fight! !